I can't even remember the last time I posted a home from a shelter magazine versus just pinning images, but this one, from the April issue of Country Living, was so charming, I couldn't help myself. 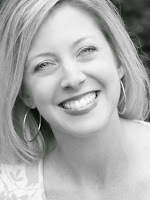 It was styled by Heather Bullard, so of course it is going to be blog-able, pin-able, and lovable. The whole house is pretty, but the images I have here are my favorites. 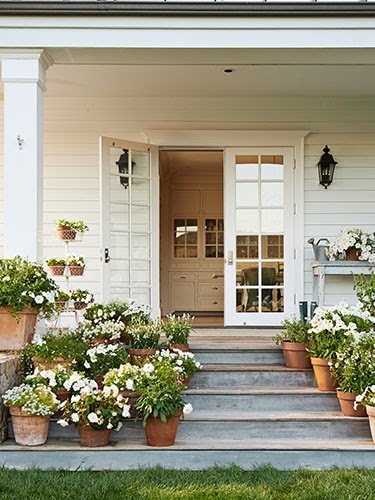 I love the mass of potted white flowering plants on the steps. It is my inspiration for our back patio this summer. Gorgeous dining room. The black chair is super cute. Thanks for sharing, Tessa. I hadn't seen this feature - so incredibly beautiful!! It's just lovely. The team at CL is really doing something right lately and have picked beautiful-but-comfortable homes to share with their readers. Kudos to them!